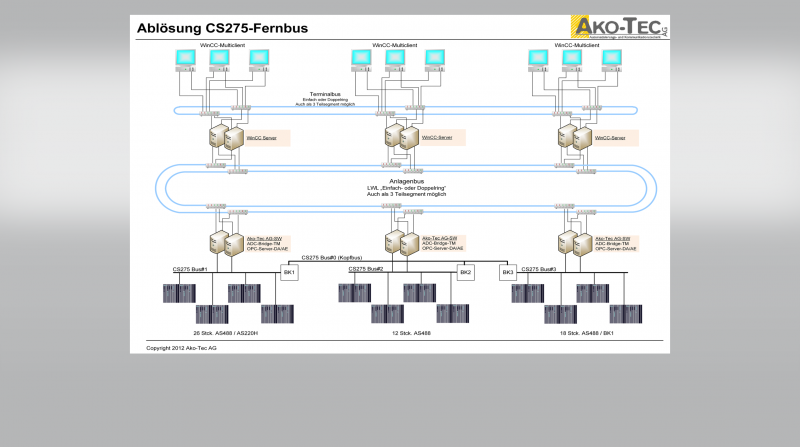 The ADC-Bridge-TM developed by Ako-Tec is a system that is implemented worldwide to interface a Teleperm M/ME to other applications via the CS275 bus world. 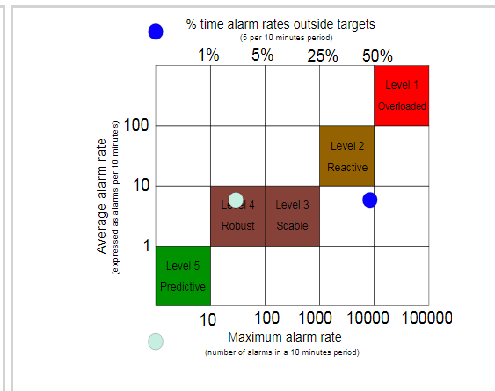 the alarm and messages functions. 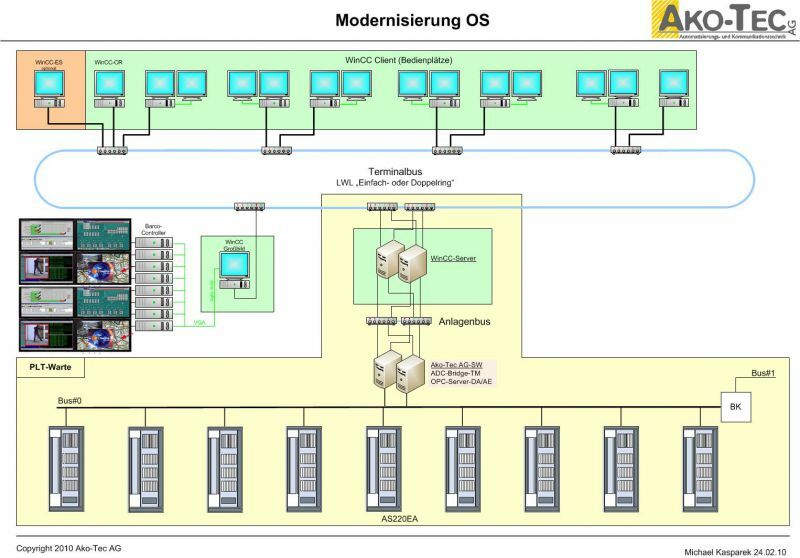 Data exchange between controllers (PLC's). 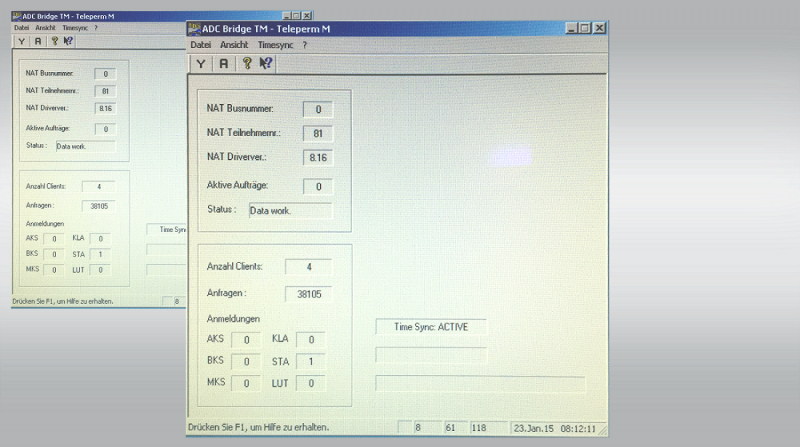 The ADC-Bridge-TM is used by many manufacturers of control systems as standard for system migrations! Teleperm and WinCC are registered trademarks of Siemens AG.